Allows you to reach potential customers by targeting people who have recently searched within your specific product or service category. Highly targeted. Reach potential customers already searching for your product or service category. Effective reporting. Easily track campaigns and refine for better results. Repeat exposure. 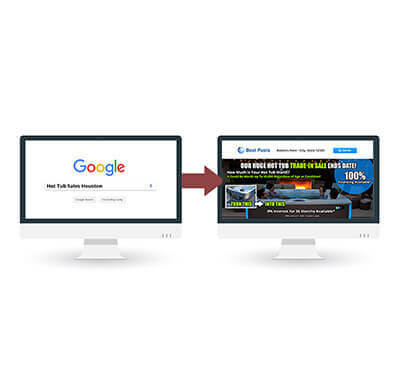 Show ads to relevant customers as they browse the internet. Search retargeting will benefit any pool construction, service, hot tub, or retail company that wants to reach people searching for their product or service.